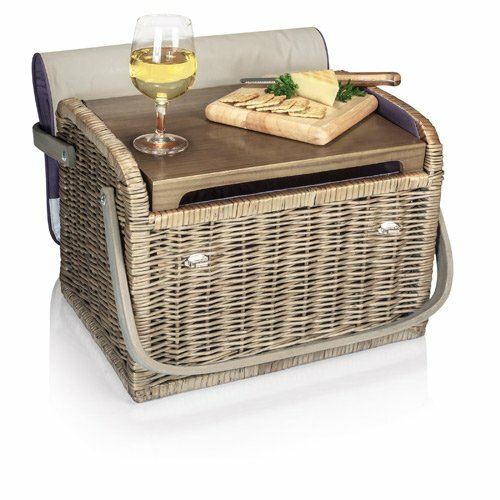 Includes a sturdy built-in hardwood table top which provides a level surface to rest wine glasses or cheese board included. Care: Surface wash with damp cloth only.. Material: Willow basket; hardwood table; polyester. Color: Aviano. 14.5 x 10 x 11 (or 16 with handles up) . Includes: . 1 Willow wine and cheese basket. 2 hand-blown wine glasses (7 oz. 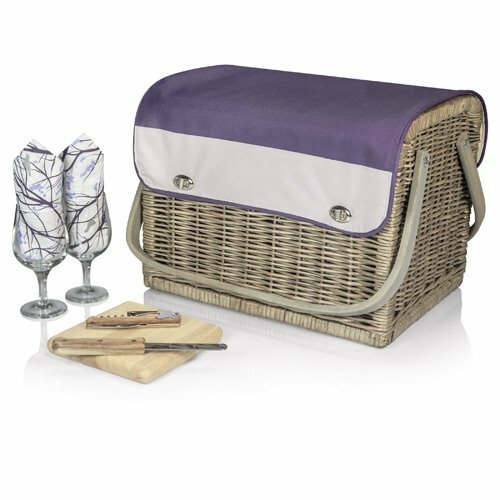 ), 2 napkins (14″ x 14″, 100% cotton, Aviano Birds in Branches design), 1 hardwood cutting board (6″ x 6″), 1 stainless steel cheese knife with wooden handle, and 1 stainless steel, waiter-s The Kabrio – Aviano is like no other wine basket you will find. 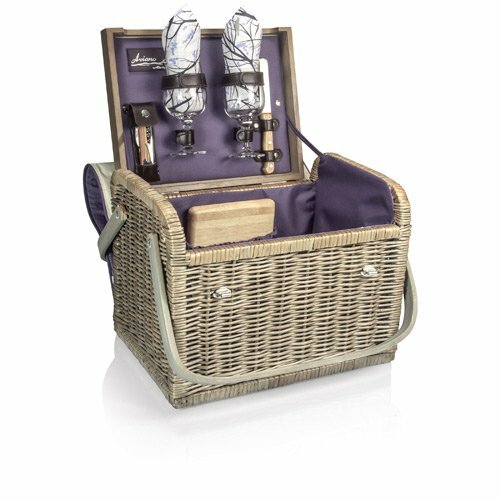 Made of willow with a soft insulated cover, it features an integrated wooden table top, perfect for resting wine glasses or food items. It includes: 2 hand-blown wine glasses (8 oz. ), 2 napkins (14 x 14, 100% cotton, Botanica Leaves design), 1 hardwood cutting board (6 x 6), 1 stainless steel cheese knife with wooden handle, and 1 stainless steel, waiter-style corkscrew. Take the Kabrio – Botanica on your next romantic get-away!